Capital One 360 is one of my favorite online savings accounts. 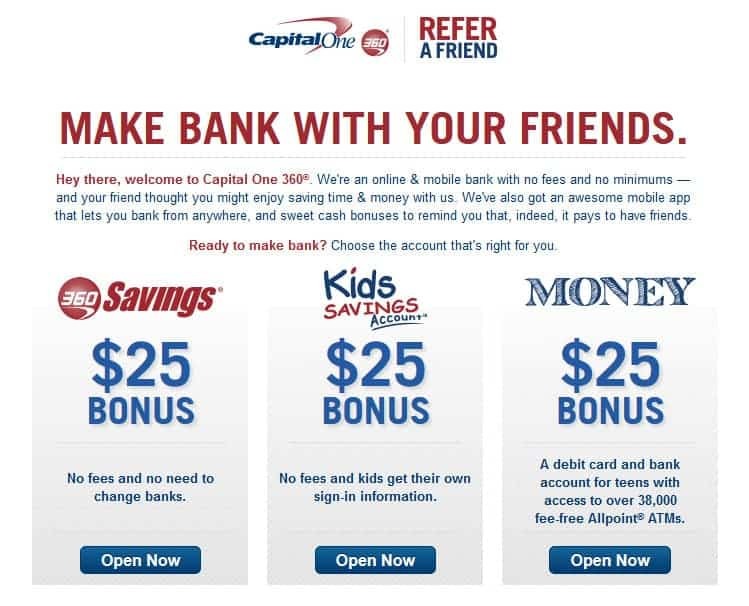 Capital One 360 has given me a batch of referral bonuses to share with you! Start earning a return on your money without even having to wait for the interest! NOTE: If you do signup, you will get $25 added to your account for a savings account opened. I, as your referrer, will get a $20 bonus added to mine. Thanks in advance, and enjoy the bonus cash!